We are doing in California for Spring Break visiting family. 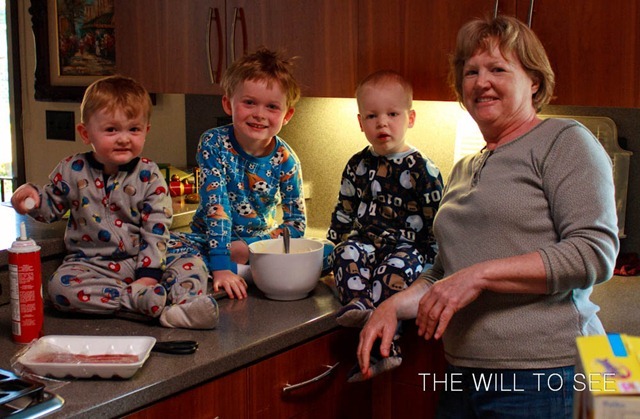 Each morning Yaya makes breakfast with a little help from the boys. Luckily the counter is big enough for all of them. This morning it was pancakes and sausage. Yum!